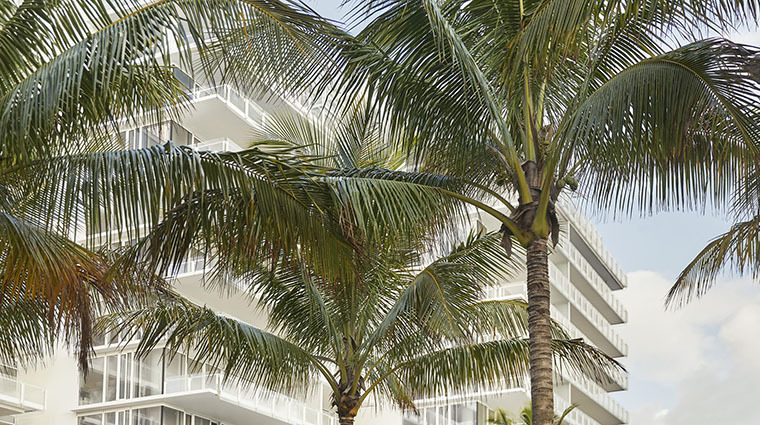 Once the seaside holiday getaway for Hollywood legends in the 1930s, The Surf Club has regained the splendor of its glory days as the new Four Seasons Hotel at The Surf Club, Surfside, Florida. As the story goes, it was the height of Prohibition and tire king Harvey Firestone and his friends were looking for a private place to gather. That vision came to life on New Year’s Eve in 1930, when the members-only club originally opened. 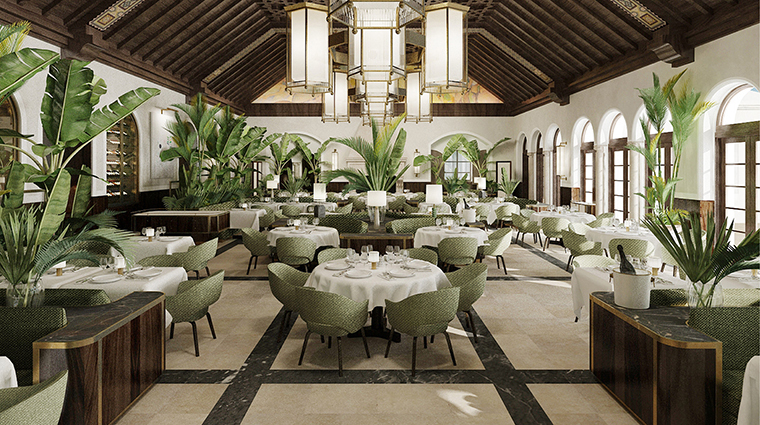 Four Seasons Hotel at The Surf Club welcomed in a new era of glamour in early 2017. After five years of planning and three years of renovation, the result is a marriage between modern and old charm. 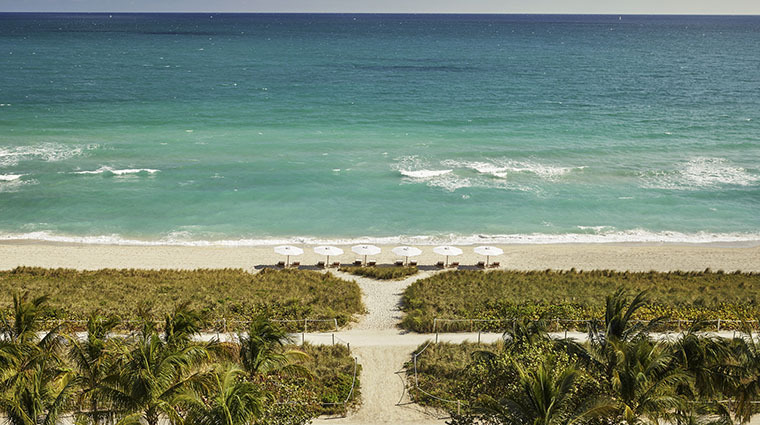 Property owner Nadim Ashi brought together a powerhouse team to revive the sprawling oceanfront property, located minutes away from prestigious Bal Harbour and Miami Beach. 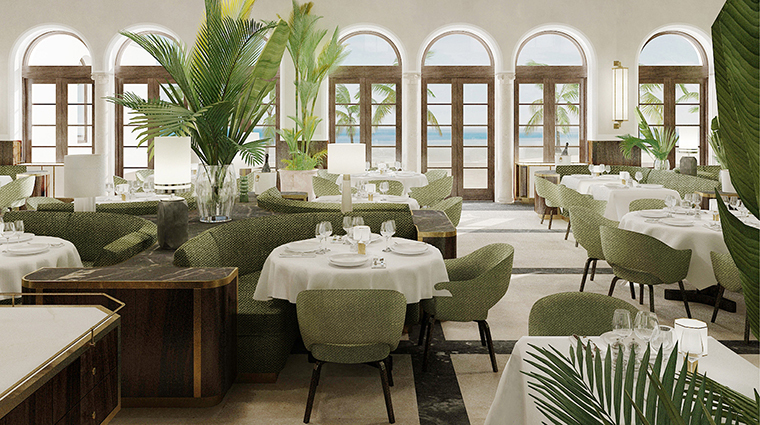 With Four Seasons also comes the U.S. debut of Italy’s famed Le Sirenuse restaurant and a champagne bar. Just as impressive are the nine acres of landscaped seaside gardens. You can’t beat the location. It’s situated in the exclusive Miami Beach Surfside neighborhood, with Collins Avenue at your doorstep, Bal Harbour shopping and South Beach nightlife nearby and Miami just a short drive away. The property sits on an expansive 900 feet of pristine white-sand beach. There are three gleaming pools — one for families, another for adults only and one exclusive to cabana guests. Enjoy pool- and beach-side concierge service. Take note of the well-manicured lawns and gardens framing the ocean view. Designed by renowned landscape architect Fernando Wong, the grounds provide a beautiful backdrop for a photo. 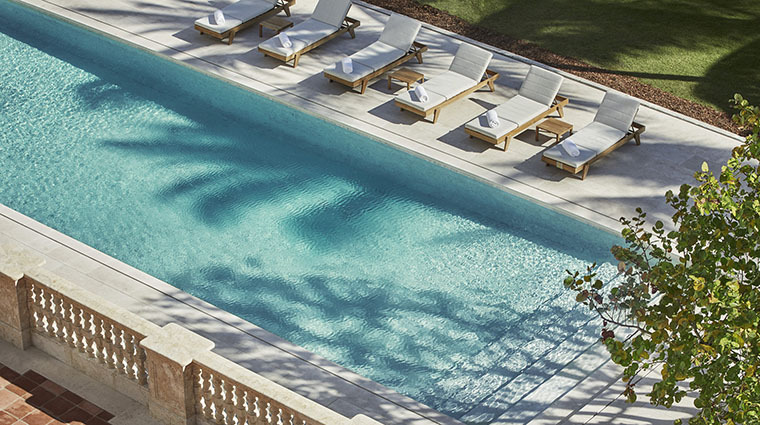 In addition to the 77-room Four Seasons hotel, there’s a mix of 119 private residences (up to six bedrooms and 7,800 square feet) and 31 one- and two-bedroom hotel residences, giving you the best of on-call grand hotel amenities and private living. Le Sirenuse is a standout and the only place stateside where you can taste the Southern Italian fare of the famed Sersale family’s Positano restaurant. Make the most of beach and pool by reserving one of the 40 day-use air-conditioned cabanas outfitted with full bathrooms. 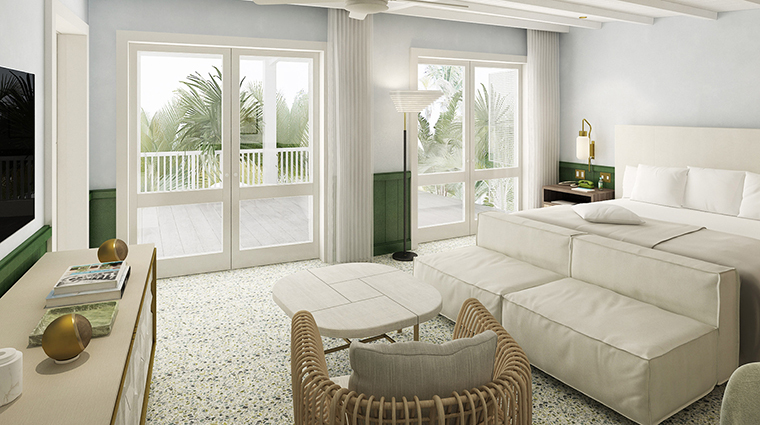 For those wanting to re-create the heyday of the old Surf Club, request one of the five overnight Cabana Studios, outfitted with lanai decks with a full marble bathroom. If you’re traveling with children, the Miami hotel has young guests taken care of with its fully supervised Kids for All Seasons studio. The concierge also will happily arrange for babysitting and family outings. 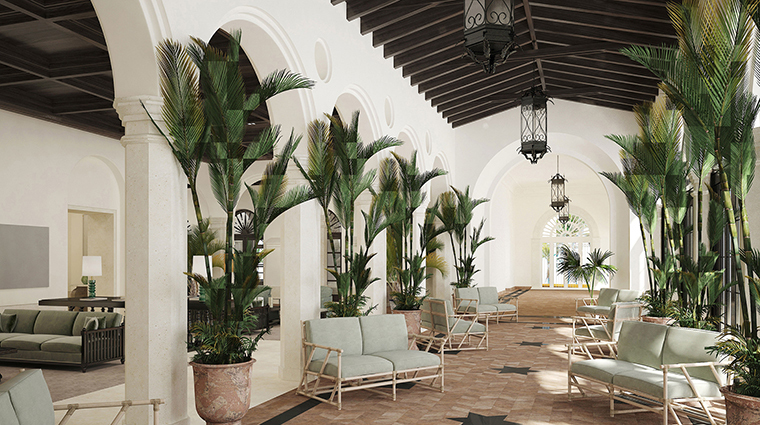 The hotel’s 72 guest rooms, measuring 425 to 700 square feet, are done in a palette of ocean hues, sand tones and creamy bisques. The five overnight cabanas bring the total room count to 77. 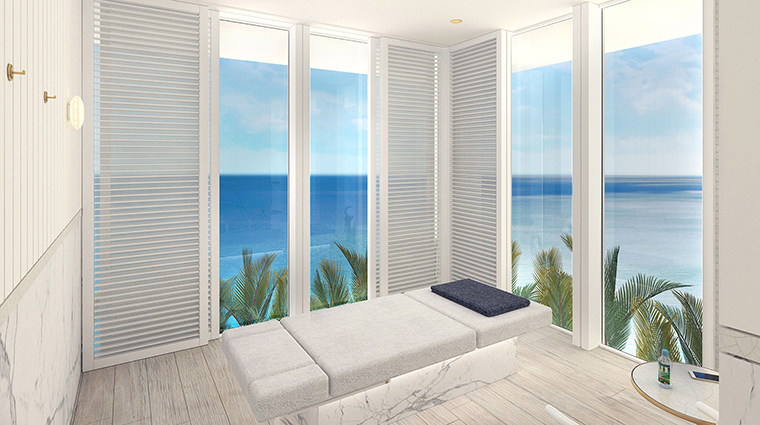 As you open the door, curtains automatically open to reveal floor-to-ceiling windows that give way to unobstructed views of the Atlantic, waterways and the cityscape, thanks to frameless glass balconies. Premier Ocean-View rooms let you watch the sun rise over the ocean and catch the moon rise over the city skyline. Each of the rooms feels like you’re walking into a beachside bungalow, with textured paneled walls and ceilings and touches of rattan. The opulence is abundant: Italian marble floors, marble bathrooms, brass fixtures and a mini bar made from green Connemara marble, which is found only in one quarry in the world in Scotland. 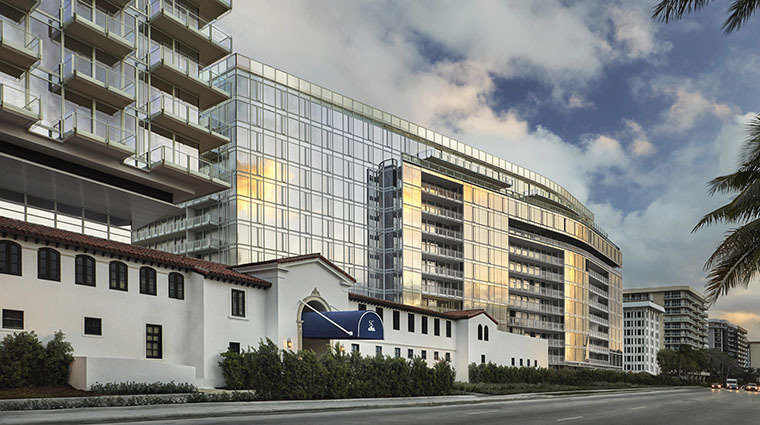 When you drive up, the first thing you’ll notice are three new monolithic glass-and-steel towers, designed by Pritzker prize-winning architect Richard Meier, encasing the original club, preserved in its Mediterranean-revival style. 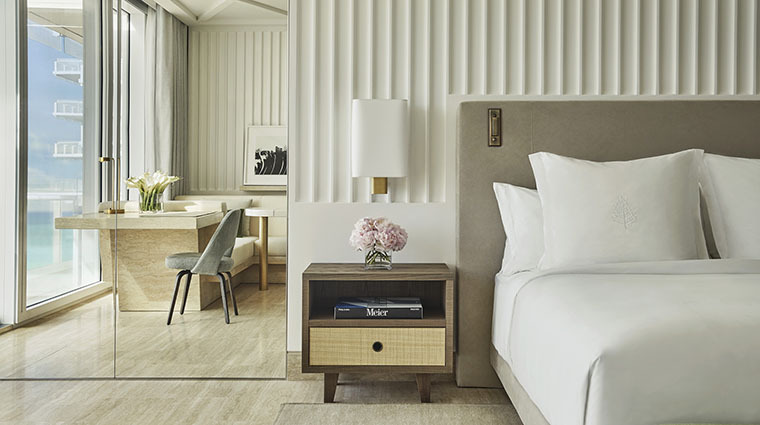 Inside, Joseph Dirand, known for working with high-fashion brands like Givenchy and Alexander Wang, brings his signature sleek, modern, minimalist design to accommodations, Le Sirenuse, the champagne bar and spa. 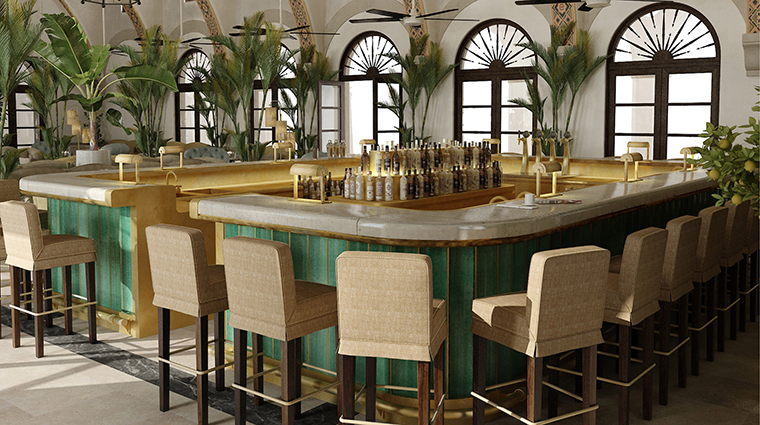 As you enter the luxury hotel, you’ll find yourself in Peacock Alley, where the likes of Elizabeth Taylor, Frank Sinatra, Dean Martin and Winston Churchill once traipsed down the Italian terracotta runway. History buffs will love the treasure trove of photos on Peacock Alley’s walls. Artist Michele Oka Doner captures The Surf Club’s fabled stories in original black-and-white-photos, which were uncovered in the hotel basement during construction.